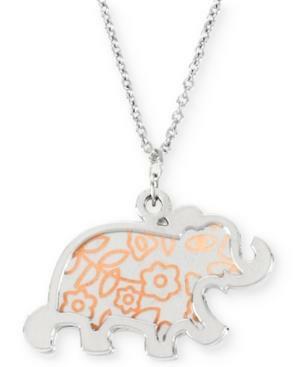 Highlight your flair for the the unexpected with Betsey Johnson's elephant pendant necklace. Lobster clasp closure. Crafted in silver-tone mixed metal with glass accents. Approximate length: 18 inches + 3-inch extender. Approximate drop: 3/4 inch.